Summer Rebates on Icom Airband Radios! Up in the air about buying a radio for your aircraft? 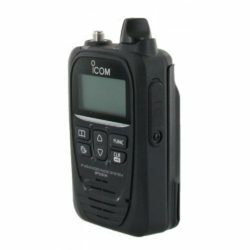 These summer rebates on Icom Airband radios may help you decide what you need! Buy an Icom A14 Airband radio and you qualify for a $20 rebate! Buy an Icom A25N or A25C Airband radio and you qualify for a $50 rebate! 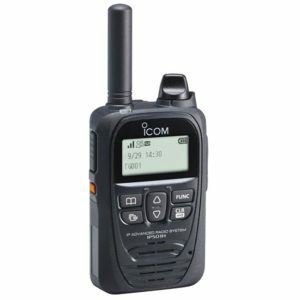 This is a great deal from Icom and is available for a limited time! This offer is fulfilled by Icom directly, so the rebate will be mailed to you after Icom receives your mail-in redemption. To redeem your rebate, go to Icom's rebate page, download the Mail-in Rebate Form, fill out the form and mail it to Icom with the items requested on the form. Purchases of A14 radios must be made between 5/1/2018 and 7/31/2018. Icom A14 mail-in rebate form. Purchases of A25N and A25C radios must be made between 7/1/2018 and 9/30/2018. NOTE: Rebates must be postmarked no later than 45 days from date of product purchase. 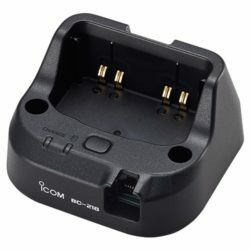 All claims require a proof of purchase from an Authorized Icom dealer and the original UPC code from the box. Use 1 rebate form per radio. Allow 8-10 weeks from submission of rebate request for delivery. Offer valid in US and Canada only and is void where prohibited by law. All rebates will be paid by check ins US dollars. This entry was posted in Special Offers, Icom and tagged Icom, airband, rebate 2018, a14, a25c, a25n on July 23, 2018 by Rick. We talk about using two way radios for golf courses. We also review the Motorola RDU4100 and RDV5100 two way radios. We'll discuss how golf courses use two way radios, the types of radios used, and recommend some specific models for use by golf courses. Radios discussed include the Icom IC-F4011, Kenwood TK-3300-U4P, Motorola RDU2020, Ritron Outpost 1 Series Callbox, and Ritron Loudmouth Wireless Stand-Alone PA System. For more information about radios for golf courses, read Two Way Radios For Golf Courses. Today we review the Motorola RDU4100 and RDV5100 two way radios. For instructions on updating your existing Motorola RDX Series radios For narrowband watch our video How to update Motorola RDX Series two way radios for full narrowband compliance. For an in-depth discussion on the new FCC narrowband mandate which takes effect January 1, 2013, listen to Episode 12 - The Migration to Narrowband. Questions from readers of our Two Way Radio Blog and members of the Two Way Radio Forum. Check out KD4SAI's VHF/UHF Line of Sight Calculator discussed in the Q and A. This entry was posted in General, Two Way Radio Show Podcast, Intercoms and Call Boxes, Kenwood, Vertex Standard, Icom, Motorola and tagged UHF, VHF, Kenwood, Motorola, RDU2020, Icom, VX-459, Ritron, restaurant, callbox, 451, Outpost, RQX, 151, Loudmouth, PA, TK-3300, IC-F4011, RDX, RDU4100, RDV5100, F4011, teacher, security, custodial, public address system, golf, golfing, groundskeeper, TK-3300-U4P, Vertex Standard on October 2, 2012 by Rick. We discuss the basics of air band radios. We also review the Icom IC-A14 VHF Air Band Radio. we'll talk about airband radios. We'll learn how these radios are used in avionics, the FCC rules for using them and the types of airband radios available. Radios discussed include the Icom IC-A6 and IC-A14. For more information about airband radios, read The basics of air band radios and Part 87 Subpart B of Title 47 of the FCC rules on airband radio licensing. Today we review the IC-A14 air band radio. 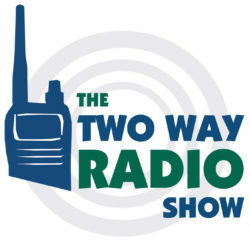 Questions from readers of our Two Way Radio Blog and members of the Two Way Radio Forum. To apply for a GMRS license, visit FCC Universal Licensing System. This entry was posted in General, Two Way Radio Show Podcast and tagged VHF, FCC, marine, NOAA, weather, Icom, licensing, air band, airband, avionic, avionics, NAV, navigation, COM, IC-A6, IC-A14, fly, flying, pilot, pilots, navigating, plane, airplane, helicopter, flight, navigational on September 17, 2012 by Rick. We talk about using two way radios for schools. We also review the Ritron Loudmouth PA wireless public address system. Today we'll talk about using two way radios in schools. We'll discuss some of the advantages of using radios in a school facility, the types of radios used, and recommend some specific models for use in educational institutions. Radios discussed include the Icom IC-F4011, Kenwood ProTalk XLS TK-3230, and Vertex VX-231-AG7B two way radios. For more information about radios for educators, read Two Way Radios for Schools and Universities. Today we review the Ritron Loudmouth PA wireless public address system. This entry was posted in General, Two Way Radios, Two Way Radio Show Podcast, Business Radios, Kenwood, Vertex Standard, Icom and tagged UHF, Kenwood, Icom, Vertex, Standard, VX-231, TK-3230, Ritron, Loudmouth, PA, LM-U450, school, schools, university, educational, IC-F4011, F4011, education, college, campus, administration, faculty, teacher, classroom, security, custodial, lunchroom, cafeteria, public address system on August 21, 2012 by Rick. We talk with a hotelier and find out how he and his staff use two way radios to serve their guests. We also review the Ritron Liberty Repeater. Today we'll learn how hoteliers use two way radios. We'll interview James Brooks, General Manager of the Staybridge Suites Hotel in Durham, NC and find out how he and his staff use two way radios to improve efficiency, ensure safety and provide their guests with a more enjoyable stay. Interview with James Brooks, General Manager of Staybridge Suites in Durham, NC. Post interview commentary. Radios discussed include the Icom IC-F4011-41-RC, Kenwood TK-3302-U16P and Kenwood ProTalk XLS (TK-3230) Business Two Way Radio. For more information about choosing two way radios for hotels read our guide Two Way Radios For Hotels. Today we review the Ritron RLR-465-N 5 Watt Liberty Repeater (UHF). This entry was posted in General, Two Way Radio Show Podcast, Business Radios, Kenwood, Icom and tagged UHF, VHF, GMRS, repeater, Kenwood, Motorola, Icom, TK-3230, Ritron, XLS, families, TK-3302, ProTalk, TK-3302-U16, hotel, hospitality, F4011, RLR-465-N, Liberty on July 16, 2012 by Rick.